Close Gaps. Exceed Standards. Surpass Expectations. Interested in data-driven teaching? Need to see just how well your students (and teachers) are progressing through standards? We’ve supercharged Gradelink with advanced functionality for configuring, assessing and tracking performance in any set of national, state, local or custom educational standards. Now it’s easy for teachers to use standards without learning a whole new process or tackling “another thing.” We’ve integrated standards tracking with the assignments teachers enter every day. And all this is at your fingertips with just a few clicks. Gradelink offers a flexible report card format optimized for reporting on standard categories, subcategories, or individual standards. You have the option of appending these averages to either an overall mastery level mark or grade, allowing for preservation of the traditional grading format, while adding the display of standards performance specific to each class. Our teachers are thrilled with the ease of use that this product brings to the oft time-consuming job of filling out report cards. It has saved each of them many hours of retyping grades, etc. Whether your school teaches to Common Core State Standards (CCSS), Next Generation Science (NGS) or your own state or local diocese/district standards, Gradelink can accommodate your needs. You can also configure custom standards specific to your school. We make it easy. 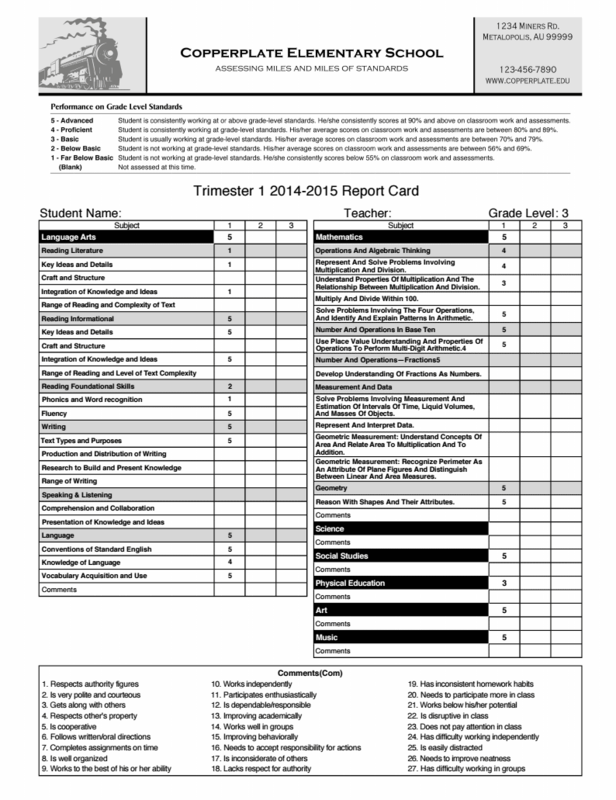 Keep tabs on students’ standards performance in every class. 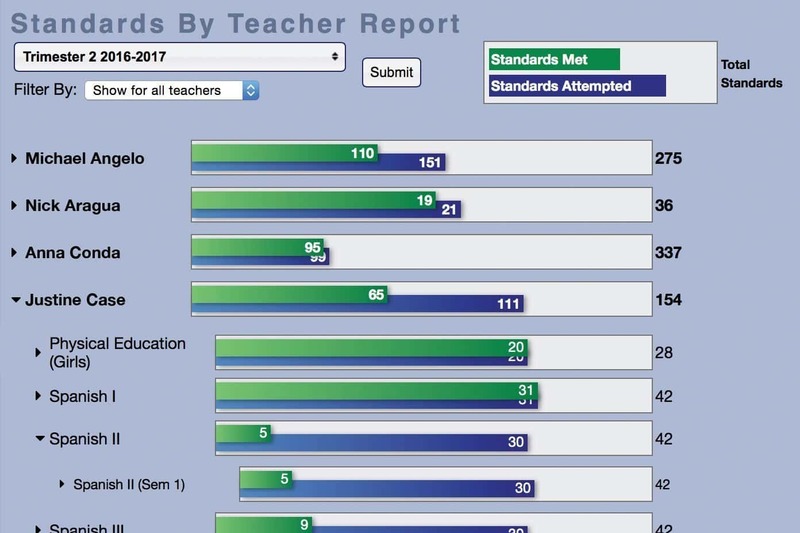 Using an easy-to-read graph, the report displays the standards met by each teacher’s students, the number of standards each student has attempted, performance across multiple terms and more. 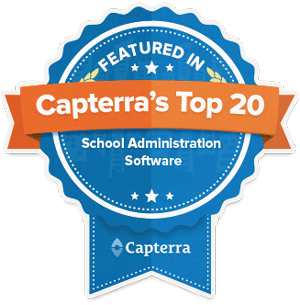 This software is undeniably the best in streamlining school data processing. It actually eliminates the tedious task of combining lesson plans and standards and it makes the grading easier than ever. Teachers and Administrators can easily see which standards have been covered in order to close gaps in their curriculum. Just link your assignments to any applicable standards, and you can track just how well students – and classes – are performing in a given set of standards, including category or sub-category averages. Once a class is appropriately configured, the Standards Met report offers a wealth of real-time performance data.